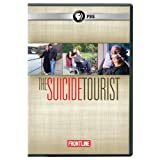 Review of "The Suicide Tourist"
Craig Ewert had a diagnosis of ALS. He decided that he did not want to go through the final stages of the disease where he would be completely paralyzed. Originally from Chicago, he and his wife Mary were living in England. He decided to travel to Switzerland to use the services of Dignitas, the assisted suicide organization. This documentary follows them on the day they arrive at Dignitas, do Craig's final interviews, send a last message to his children, and finally as Craig takes the medication that kills him. It is a remarkable documentary, showing the intimacy between Craig and Mary on their last day together. There are also interviews with the people running Dignitas, and briefly with Craig's daughter. Ewart makes a strong case for the reasonableness of his desire to end his life while he still can, thus retaining control over his life and potentially avoiding pain. The PBS Frontline website allows you to watch the whole video and also has some additional material about another couple whose desire to end their lives is much more questionable. This is a powerful teaching tool for those teaching medical ethics and will be helpful to anyone interested in the morality of assisted suicide.